Bobby Joe Elliott, a resident of Ashford, Alabama, died Saturday, November 17, 2018 at Southeast Health. He was 67. Funeral Services will be held at 11AM Tuesday, November 20, 2018 in Clearman Chapel at Southern Heritage Funeral Home with Larry Elliott Officiating. Interment will be immediately following the service at Crestlawn Cemetery with Southern Heritage Funeral Home directing. The family will receive friends from 5PM to 7PM Monday, November 19, 2018 at the funeral home. Flowers will be accepted, or memorial contributions can be made to Felines Under Rescue P.O. Box 1788 Dothan, Alabama 36302. Mr. Elliott was a lifelong resident of the wiregrass. 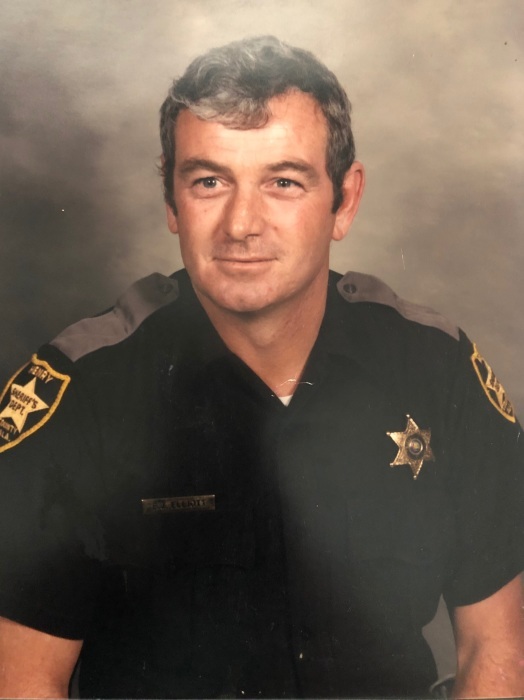 He graduated from the police academy in 1974, and served his community with honor as a Law Enforcement Officer with many agencies in the surrounding area, retiring from the City of Ashford in 2016. Mr. Elliott was preceded in death by his father, George Elliott Sr. and three brothers, George Elliott Jr, Ronnie Elliott, and Jackie Elliott. He is survived by his wife of twenty six years Dianne Elliott; three sons, Joey Elliott, Kevin Elliott, and Kevin Gill (Jennifer); two daughters, Denise Knight, and Audrey Forrest (Joshua); his mother, Arrietta Elliott; mother in law, Helen Petteys; one brother, Larry Elliott (Patricia); one sister, Shirley Robinson (Ray); twelve grandchildren, and three great grandchildren.